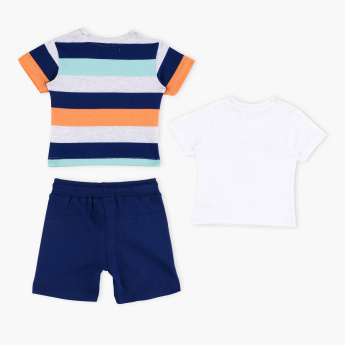 Get this adorable three-piece set for your little boy for his everyday look. The set comprises of two trendy t-shirts and a pair of pocket detail shorts making it a must-have. Made of a soft fabric, this set is easy on your little one's skin.